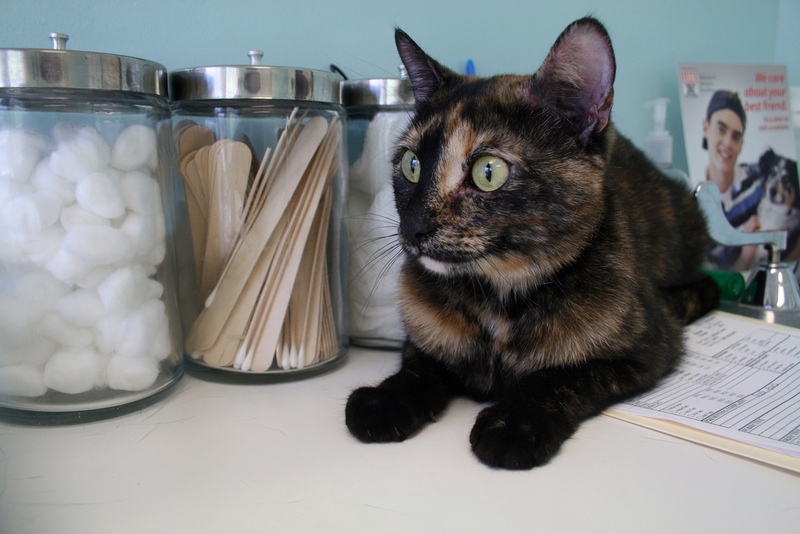 Sounds weird, but whisker fatigue is actually a condition that affects some cats. At the tip of each whisker there is a sensory organ called a proprioceptor. 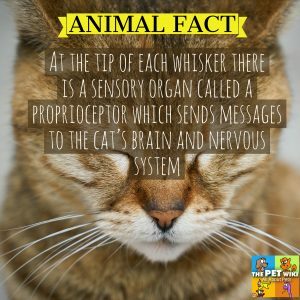 The proprioceptors send messages to the cat’s brain and nervous system. A cat’s whiskers are so sensitive that they can even register slight changes in air currents. 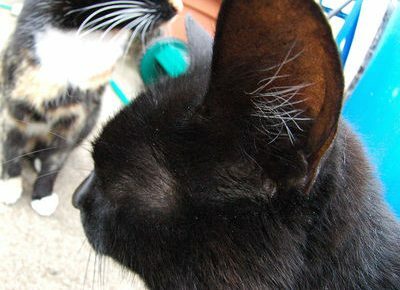 Whiskers help a cat to navigate in narrow or dark areas. Due to the extreme sensitivity of your cat’s whiskers, s/he can easily become fatigued if the whiskers are constantly rubbing against an object. As an example, touching the sides of the food and/or water bowl. Some cats become so sensitive that they will refuse to eat from their bowl. Avoiding this problem is very simple. Make sure your cat’s food bowl is shallow with low sides. A wide water bowl will ensure that your cat’s whiskers won’t touch the sides. If you notice that your cat is not eating or drinking as usual, first have him/her examined at the vet to rule out a possible medical problem. If all is well, try changing the bowls to those that will be more comfortable for your cat and beat whisker fatigue.